Sometimes being a grown-up is hard. Being a grown-up in a position of power, a position where you may be tempted to take advantage of that power, is even harder. 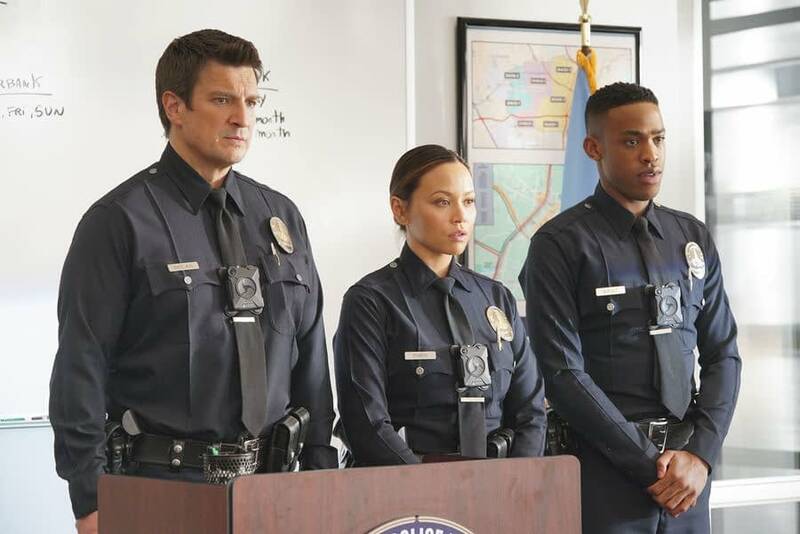 This week’s episode of ABC‘s The Rookie “Caught Stealing” is all about the moral and legal gray areas that police officers may find themselves in. 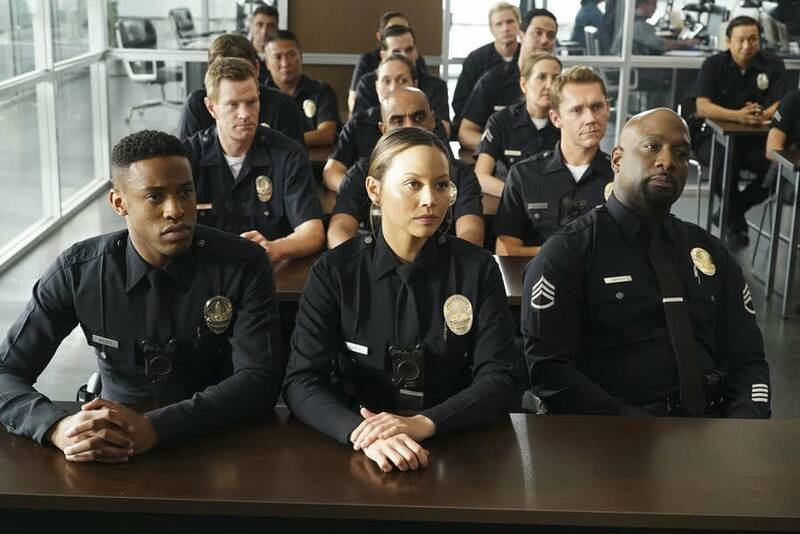 For our three favorite LAPD rookies, the difference between the letter of the law and the spirit of the law is not a black-and-white as they would prefer. 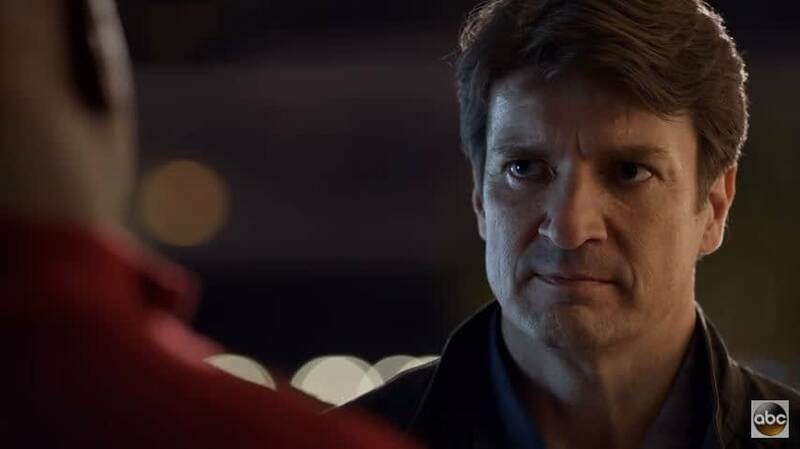 Throughout the episode Nolan (Nathan Fillion), Chen (Melissa O’Neil), and West (Titus Makin Jr.) have their integrity tested in many ways, both obvious and insidious, and learn where their boundaries lay. So pull out the crime scene tape… spoilers below! The rookies spend the rest of the episode struggling to find their way through the gray areas. West and Lopez (Alyssa Diaz) are confronted with a woman whose date tries to dine and dash on a $600 check. Lopez encourages the woman to order dessert, bringing the bill total up and enabling Lopez and West to charge the bad date with a felony. West – who has very hard and fast rules for right and wrong – disagrees with Lopez and takes a rather superior attitude about it. 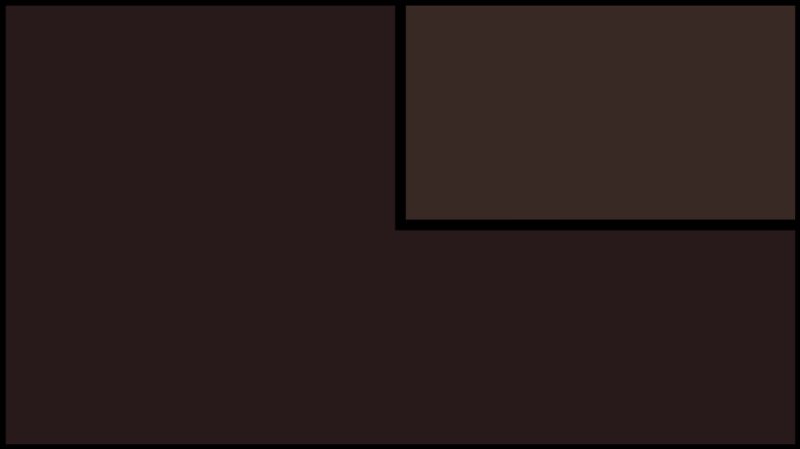 It seems like West is just more comfortable in a world where everything is either “right” or “wrong” and there is no space between the two. Lopez finally resorts to reminding West that she covered for him when he froze in a firefight. If West can benefit from the gray areas, why not others? It was interesting to see his level of anxiety with the concept. Nolan is forced to examine his rent free living situation. Is it a perk? Will his college buddy Ben (Currie Graham) expect Nolan to do him a legal favor if needed? At what point does living rent free turn into a conflict of interest? I like what the show runners did here. They took one of those strange TV show arrangements – people just happening to have a rich friend with a swanky guest house – and turned it around on the character. It was nice to see Nolan have to face the implications of his luck and come to terms with the way it could look to others. That is a level of self-analysis you don’t really see in a dramedy. 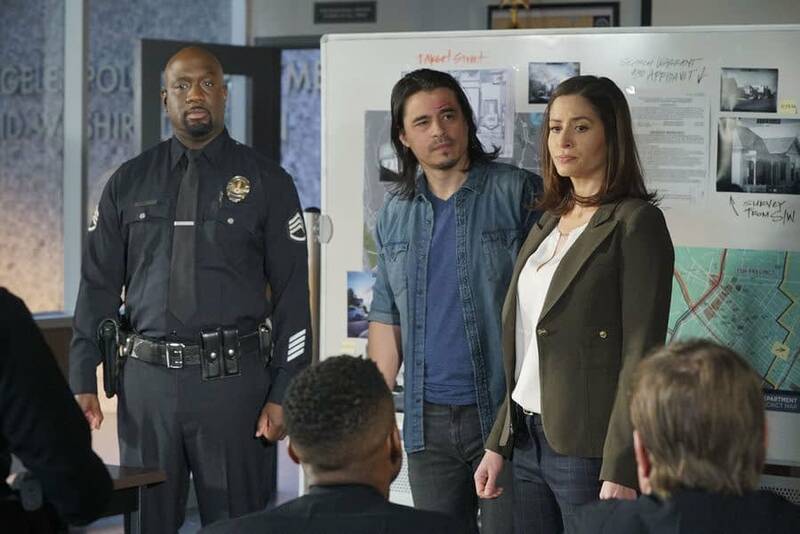 Chen and Bradford (Eric Winter) are working a burglary/domestic violence case that stems from a custody dispute over frozen embryos. When Bradford arrests both parties, Chen questions why the burglary “victim” was arrested as well. Bradford explains that in the case of domestic violence, following the laws to the letter and arresting both parties can often save lives. Considering Bradford tends to be a bit “loose” with the regulations, it was nice to see another layer to him – and it gave the show a good counterpoint to the Lopez/West discussion. Oddly enough, halfway through the episode we learn that the above plots are all subplots: the big deal case for the week is a bust on a drug gang cash house. The rookies are tasked with watching the $1M while everyone else gets to go home. Somehow, when the cash is counted there is $250,000 missing – despite the fact that none of the rookies were ever alone with the cash. Chen, Nolan, and West then each have to take a polygraph… which is kind of hilarious in an unrealistic and made-for-TV kind of way. They pass, but aren’t off the hook until the money is found. “Conveniently,” the drug gang member who really took the money tries to abduct and kill Chen, giving her a chance to recognize his ugly boots and arrest him for stealing the money. The rookies are cleared, Chen rents a murder victim’s apartment (without revealing she is a cop), Nolan starts paying rent, and West starts to get comfortable with living in the grays. While most of the episode was “TV show magic” where everything gets cleared up in one 45-minute episode, I really liked what they did here. Nolan is the older, more experienced guy, so one would expect him to be more comfortable with the different shades of ethical gray – so they made him face the fact that he might be too comfortable in the gray. Chen is young and trying to make ends meet, the morality of whether or not to make an offer on a murder victim’s apartment has to be weighed against her upcoming eviction… and West can always use a lesson in humility. 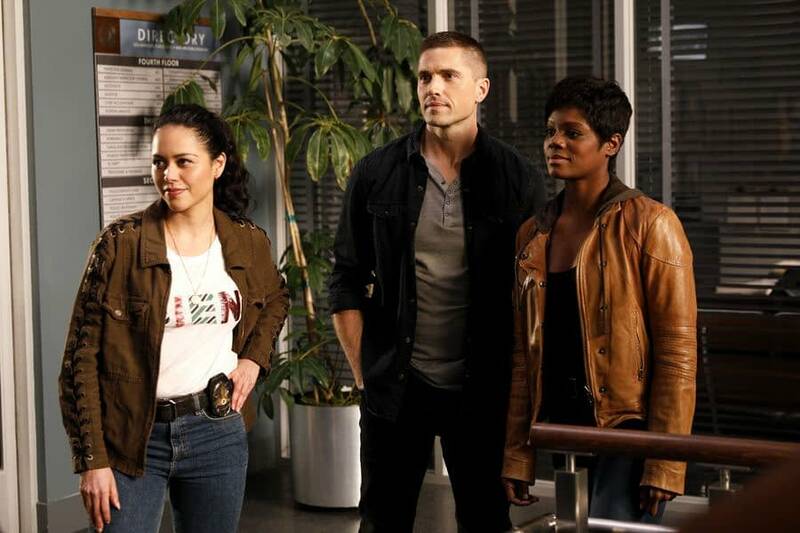 The next episode of The Rookie “Plain Clothes Day” airs on Tuesday February 26, 2019 at 10pm on ABC.